Forexpop.net – a new News scrapper, in a way similar to Oanda’s ATNABTU. This site is by Jakob Dupont Knudsen – who also owns http://www.tradeprofits.net/ and http://www.forexhacking.com/ – which is a new ebook for the intermediate forex trader recommended by many. Forexstrip.com – an interesting new forex portal with news, calendar, charts and all kinds of data traders might need. myfxbook releases more updates: releases the highly requested and anticipated analysis capability – analysis by symbol. In their words: You can now analyze your trading system and see an exact representation of your trading per each symbol.This is yet another powerful tool you can use to enhance your trading – take your time and learn the new charts, you will quickly discover how to maximize your system’s profitability by focusing on the symbols your system is most successful trading on. It also goes multilingual and traders now can help translate the platform. CFTC law makers upset with the 1:10 leverage proposal – Looks like finally forex brokers’ lobbying bears fruits: Dow Jones reports that several lawmakers at a House Agriculture farm commodities subcommittee hearing Wednesday grilled CFTC Chairman Gary Gensler about a provision in the commission’s proposal that would restrict retail forex investors to a 10 to 1 leverage ratio, thereby forcing them to post much higher collateral. “I don’t get what we are trying to accomplish here by lowering this to 10 to 1,” said House Agriculture Chairman Collin Peterson (D., Minn), saying the proposal appears to put investors’ money even more at risk. “Who are you trying to protect here?” Can we answer that and say: why, the Futures industry of course. More problems at ACM? 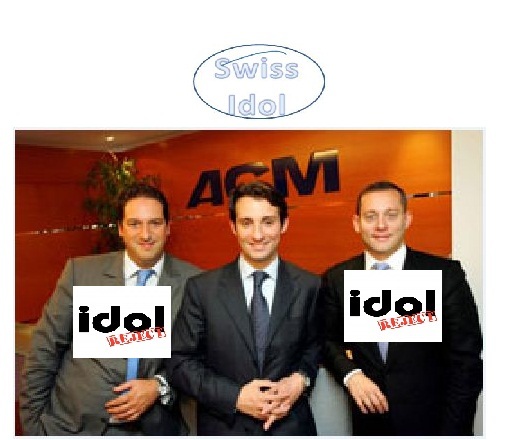 Following many speculative reports about an internal rift at ACM which became evident after the founding CEO Lloyd La Marca has ‘disappeared‘ from ACM’s website fxstreet’s Francesc now reports that Lloyd wasn’t the only partner to go: Alexandre Axarlis seems to have left his post as a director as well. It seems that out of the three founding partners only Nicholas Bang has remained. On a positive note though ACM just launched a Russian Ruble as a USDRUB pair which makes an interesting trading instrument though I’m curious how exactly they liquidate this uncommon and not very traded pair.